Newest SUV makes 541 hp and hits 60 in 3.7 seconds. Porsche is letting the Cayenne lead a new product segment once again with the 2020 Cayenne Coupe. There were plenty of skeptics when Porsche announced plans to build a sport-utility vehicle barely two decades back. No one’s laughing now, as SUVs now make up the biggest selling – and most profitable part of the Porsche line-up. So, there should be no surprise that the Schwabian marque is looking to expand that line-up. 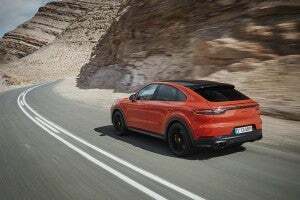 It recently announced plans for an all-electric crossover, but the next ute in the line-up will be a coupe version of the original Porsche Cayenne. Like other recent German “coupes,” this one doesn’t require you to sacrifice convenience. Think of more as a “coupe-like” version of the Cayenne, with a steeply raked roof and four doors. Whatever you call it, the appearance is striking and, arguably, less awkward than some of the other recent “coupe” SUVs. 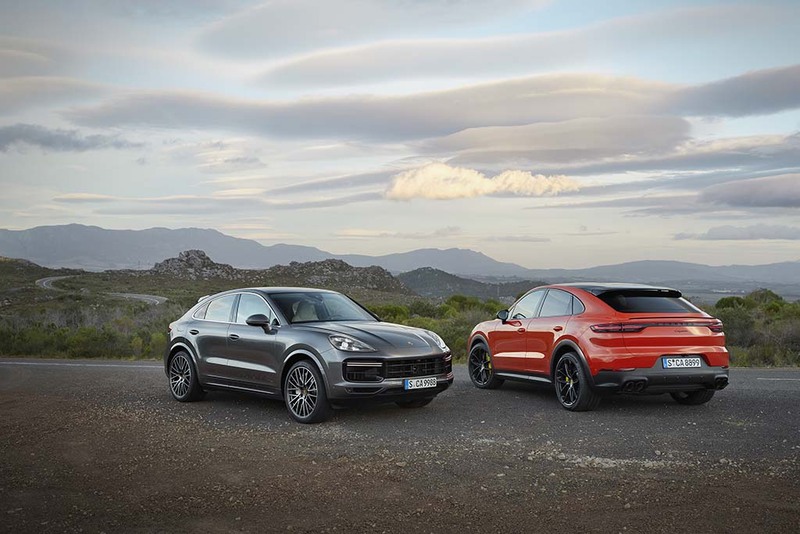 The good news is that the automaker will offer buyers the option of two different powertrains for the 2020 Porsche Cayenne Coupe, topping out with the 541 horsepower Turbo edition which can launch from 0 to 60 in a mere 3.7 seconds. 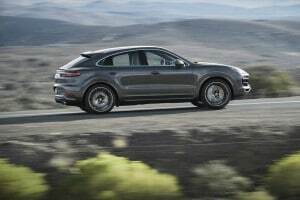 The new Cayenne Coupe is capable of 0 to 60 mph in 3.7 seconds. With crossovers and traditional SUVs now handily outselling conventional passenger vehicles, luxury makers are struggling to find new white space to fill. That’s brought a flood of new crossover coupes over the last several years. There are a handful of true two-door models, like the Range Rover Evoque, but most, including the BMW X6 and Mercedes-Benz GLC Coupe, opt or sloping, coupe-like rooflines, figuring buyers might prefer the convenience of four doors. That’s generated some quirky designs, the X6 a definite case of love-it-or-hate-it styling. But the Porsche Cayenne Coupe seems to have found just the right balance to maintain the machismo and good looks of the original Cayenne. The windshield and A-pillar are also tapered more aggressively than the current Cayenne model. The roof itself flows into an adaptive roof spoiler. The rear doors and quarter panels have also been revised, and the license plate bracket is now integrated into the bumper, giving the Coupe the appearance of sitting a bit lower. The new Cayenne Coupe features sloping, sleeker roofline. The roof spoiler is now paired with an adaptive rear spoiler. It extends by 5.3 inches at speeds of 56 mph or higher to increase downforce on the rear axle. The Cayenne Coupe also comes standard with a fixed glass roof, though buyers can opt for a lightweight carbon fiber roof, a first on any Cayenne model. The new model also adds some new standard features, including the Porsche Active Suspension Management system, the Sport Chrono Package and 20-inch wheels. 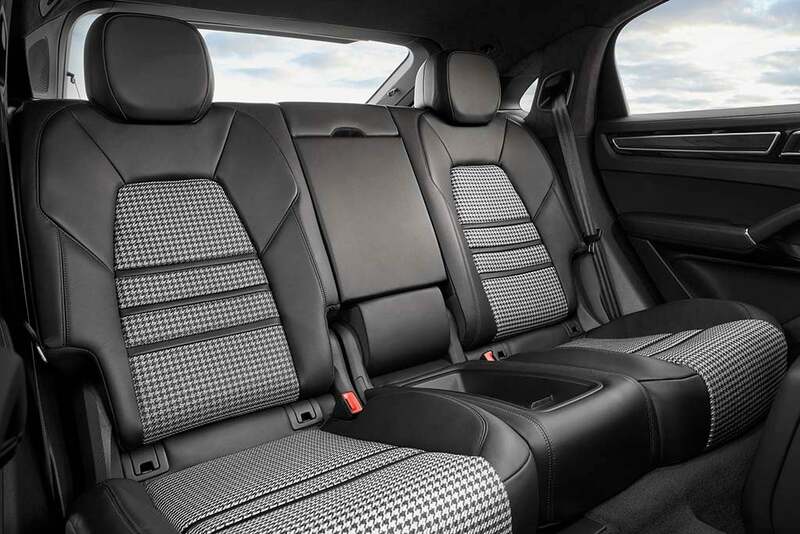 And new to the Cayenne line-up are the Coupe’s eight-way sport seats, standard for front occupants. A rear bench can be replaced at no cost with a pair of buckets. The Cayenne Coupe still offers plenty of room for rear passengers. At launch, the 2020 Porsche Cayenne Coupe will be offered with two engine options, including the same 3.0-liter mono-turbo V-6 as the standard Cayenne. It makes 335 horsepower and 332 pound-feet of torque, and can hit 60 in 5.7 seconds – 5.6 with the optional lightweight sports package. The Cayenne Turbo Coupe’s twin-turbo 4.0-liter V-8 pumps out 541 hp and 567 lb-ft of torque, and can hit 60 in 3.7 seconds. Top speed is 151 mph on the V-6 and 178 mph on the Turbo. 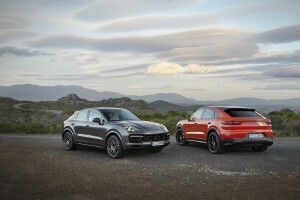 Pricing is $75,300 for the 2020 Porsche Cayenne Coupe and $130,100 for the Cayenne Turbo Coupe. Add $1,250 in delivery fees. This entry was posted on Friday, March 22nd, 2019 at and is filed under Asia Pacific, Automakers, Automobiles, Business, China, Coupes, Europe, Executives, Markets, NAFTA, Personalities, Porsche, SUVs, Sales, South America, Sports Cars, Trends, U.S./North America. You can follow any responses to this entry through the RSS 2.0 feed. Both comments and pings are currently closed.